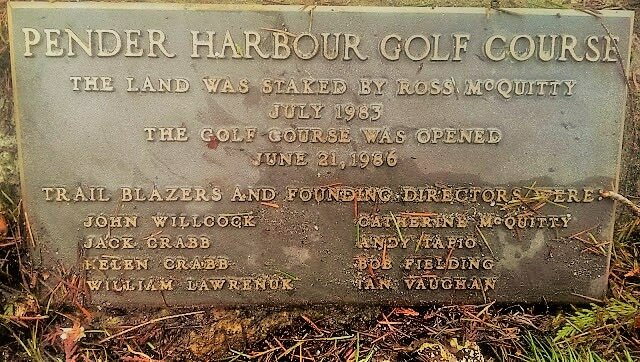 The spectacular Pender Harbour Golf Club was opened in 1986 and is operated and managed by the Pender Harbour Golf Club Society member volunteers. Located along side of the Sunshine Coast Highway (Hwy 101) in the Pender Harbour area, the course offers challenging, narrow, tree-lined fairways that demand constant calculations of risk versus reward when considering your shot! There are four sets of tees, red, white, blue and gold which gives the course a range from 5008 yards to 6190 yards to accommodate each golfers ability level. You'll enjoy beautiful views of the Caren Range while navigating the dramatic elevation changes of some of our perimeter fairways and holes. Take time to enjoy the wildlife that frequently appears on the course, from soaring eagles to grazing deer, a shy coyote and our salmon-bearing streams that cut through multiple holes on the course. We are a public golf club, so book your tee time now, and come experience what it is like to be a member at Pender Harbour Golf Club!